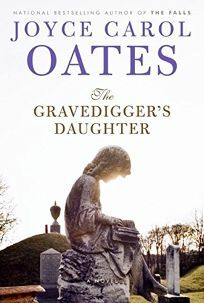 At the beginning of Oates's 36th novel, Rebecca Schwart is mistaken by a seemingly harmless man for another woman, Hazel Jones, on a footpath in 1959 Chatauqua Falls, N.Y. Five hundred pages later, Rebecca will find out that the man who accosted her is a serial killer, and Oates will have exercised, in a manner very difficult to forget, two of her recurring themes: the provisionality of identity and the awful suddenness of male violence. There's plenty of backstory, told in retrospect. Rebecca's parents escape from the Nazis with their two sons in 1936; Rebecca is born in the boat crossing over. When Rebecca is 13, her father, Jacob, a sexton in Milburn, N.Y., kills her mother, Anna, and nearly kills Rebecca, before blowing his own head off. At the time of the footpath crossing, Rebecca is just weeks away from being beaten, almost to death, by her husband, Niles Tignor (a shady traveling beer salesman). She and son Niley flee; she takes the name of the woman for whom she has been recently mistaken and becomes Hazel Jones. Niley, a nine-year-old with a musical gift, becomes Zacharias, "a name from the bible ," Rebecca tells people. Rebecca's Hazel navigates American norms as a waitress, salesperson and finally common-law wife of the heir of the Gallagher media fortune, a man in whom she never confides her past.